One of the most useful assets a company can possess is data. The problem is that many companies have more data than they know what to do with. That’s why data analysts are in such demand right now. 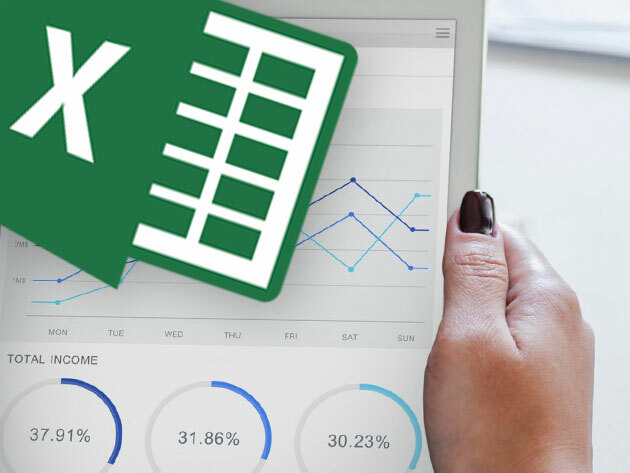 If you’re thinking of starting a lucrative new career, look no further because the Excel Data Analyst Certification School has you covered. Don’t try learning how to analyze data or master Microsoft Excel on your own. It can be a real headache without the proper teacher. The Excel Data Analyst Certification School does an amazing job at providing a real, hands-on learning experience. Instead of listening to instructors drone on and on, you’ll have opportunities to work firsthand on your own projects with the help of personal mentors. With the Excel Data Analyst Certification School, you’ll have access to 60 models of content anytime, anywhere. This is the opportunity for you to explore data manipulation, analytics, and business intel reports. Plus, at the end, you’ll earn a CPD-certified diploma to pad your resume. Don’t wait to get lifetime access to the Excel Data Analyst Certification School. At 97% off, this one-stop shop for mastering data sciences will only cost you $49!